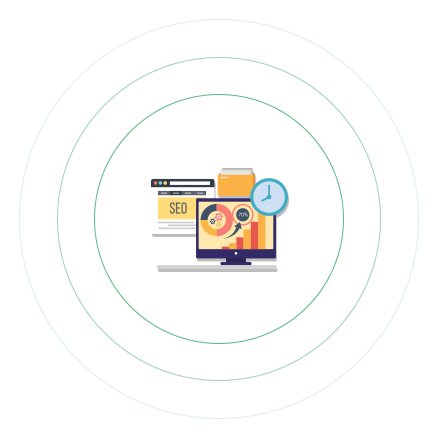 Evince Development is an Internet Marketing Company and provides all sorts of professional SEO services like content writing, link building, local SEO, and small business SEO services. Therefore, our clients need not go somewhere else for any SEO optimization service related assistance. To make sure that your business should not stay behind in the competition, we help you with numerous SEO optimization services to provide guaranteed SEO results. SEO is a strategic process to drive web traffic to your site to get a high rank in search engines like Google, Yahoo or Bing. It is an evolving professional practice as well as social engagement. Through quality content, website audits, link building, keyword research, etc.. that are very effective and won’t lose value over time. SEO services boosts your search rankings, increase leads and sales taking your business to an upper level. We at Evince Development, SEO Services Company, offer SEO services to help you to stay at the top in the competitive market. We believe in absolute solution and provide solution according to the demand of your business. Our meticulous knowledge of internet marketing will extensively perk up the required traffic to your website and help improve your ranking for the most popular search engines like Google, Yahoo, Bing etc.